With this pivoting floor fan, you can cool a facility down in no time. 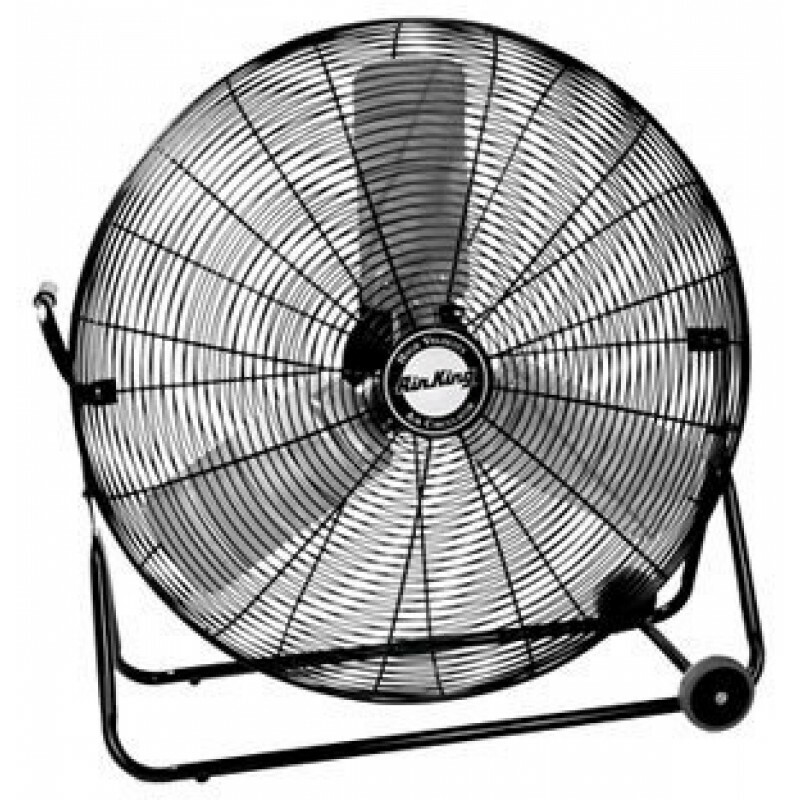 The fan can be pointed in any direction, and rotates to move air up or down. The 2.0 amp draw allows you to hook multiple fans up to the same outlet and still let your operation function as it normally does. The rear mounted pull cord switch keeps it out of the way and easy to switch on and off. This model is one of our most economical barrel & drum fans, but don't be fooled, it still moves a ton of air at 7400 CFM. For an even more powerful model, with a more heavy duty protective cage, take a look at our direct drive drum fan. Pivoting floor fan allows you to blow air in any direction. Powder coated steel transport cart makes transporting your fan easy. 7400 CFM motor only pulls 2.0 amps while putting out 78 decibels on its highest setting. 1/4 HP, 120V, 1 phase, ball bearing, permanently lubricated, permanent split capacitor motor. This is a review for the Pivoting Floor Fan.